Antique Map "West Indies From The Best Authoorities"
Map title:"West Indies From The Best Authorities". Antique Map "A Correct Map of the Island of Jamaica"
Map title:"A Correct Map of the Island of Jamaica". Condition: Good condition, light toning all over, top right corner has fading at the neat line. John Gibson. Map title:"A Map of the Tonga Islands ". Engraved for Constable's Miscellany by Cha Thomson 15th Sept 1827. At the very bottom of the map it says: Protestant Mission Stations underlined in Red (these red lines underline cities and towns where Protestant Mission Stations were). This is a Bonne's Projection. 1889 Cuba & Bahama Islands Original Color Atlas Map** 129 Years-old!!! 1889 Cuba & Bahama Island Original Color Map. Gorgeous, Original 1889 Cuba and Bahama Islands Color map. Also shows Jamaica and Haiti. Great, Historic Item. 030918 Cuba89.3 (C). This lake, of course, has now been filled in and built over. 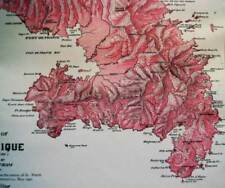 International antique map and print dealers for over 30 years. Cuba Insula, Hispaniola. A rare copper engraved antique map showing the islands of Cuba, Hispaniola, Jamaica, Puerto Rico, Margarita Island and the port of Havana. by Jodocus Hondius. Map title Map is from the book. Very large detailed antique lithographic map of Caribbean, 1863, XIXe Century, drawn and engraved by Edward Weller. "THE LEEWARD & WINDWARD ISLANDS by Edw Weller". Title of the map. Like new, no pin holes. It was published after 1910 since there are references to the 1910 census in the diary. An Authentic Antique Map: Not a Modern Reproduction! 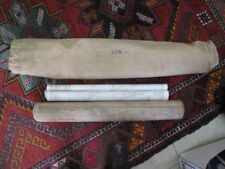 Condition: It is in Good or better condition for its age with tonal aging as expected, otherwise very clean, see the pics for more on condition. The reverse side has text about the canal. This is an antique print which was carefully removed from an atlas. Original, antique, decorative map Martinique, surrounded by hand colored decorative vignettes. ANTIQUE MAP OF PUERTO RICO. Very cool ideas! 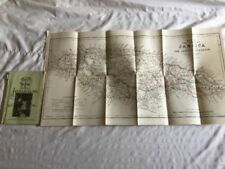 ANTIQUE COLLECTIBLE MAP OF PUERTO RICO. This map has never been folded! "An Authentic Original Map Not A Reproduction". This Bird's-Eye View of the Panama Canal appeared with the February 1912 issue of the National Geographic magazine, it was two years before the waterway opened to traffic. This Map was by the National Geographic Society. Fine example of the Robert Sayer 1775 edition of Jefferys' chart of the Southern Coast of Hispaniola. L’Isle de la Barbade Barbados West Indies map Bellin 1754. From the 1895 International Cyclopedia. See photo's. Issued c.1860, London by Fullarton. Fine double page mid-19th century antique color lithographed map. Original fold line as issued. Trieste Italy Italia 1873 detailed old city plan map w/ key of important sites. Issued c.1815, Edinburgh. Engraved by Kirkwood & Son for Thomson's New General Atlas. Cul de Sac Royal. (Caribbean islands- West Indies). 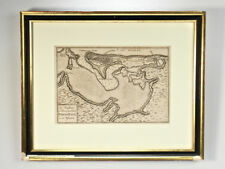 Fine large format early 19th century engraved map, with lovely original outline hand color. ANTIQUE COLLECTIBLE MAP OF BERMUDA. 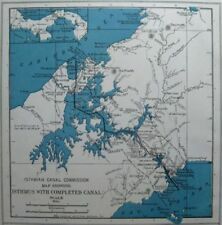 ANTIQUE MAP OF THE PANAMA CANAL. There appears to be one worm hole over the word Bahamas and a couple small minor brown spots. Terra Firma. Issued London, 1709 by H. Moll. Compass rose with rhumb lines at right lends nice visual quality. Charming early 18th century engraved map. Created for a world gazetteer, so text above, below and on reverse as issued. Map title:"Georgian or Tahitian Islands ". Include is an antique engraving titled 'Lake Waihra Tahiti". Edward T. Perkins Na Motu, or Reef-Rovings in the South Seas. _gsrx_vers_841 (GS 7.0.16 (841)). ANTIQUE COLLECTIBLE MAP OF CUBA & THE BAHAMAS. Very Nice, EARLY ANTIQUE FOLDING MAP of Panama & Panama City, c. 1930-40. Nice fold-out map. Excellent condition. Issued 1851, Phila. by Thomas, Cowperthwait for Mitchell. (Caribbean Sea-= Antilles- Cuba- Hayti- Florida- Leeward islands- windward). West Indies. Attractive and uncommon mid-19th century lithographed map with original hand color. ANTIQUE MINIATURE MAP OF CUBA. Antique maps of the Caribbean Islands and Central America offer a colorful glimpse of history for collectors of world culture. Hand-drawn Dominican Republic, Bahamas, and Cuba maps from the 16th to early 20th centuries are just a few of the maps of Spanish territory available. Collectors can pore over the careful artistry of each map, compare changes between maps over time, and hang the maps on walls for guests to enjoy. How do you choose an antique map? Choosing a Caribbean Islands and South and Central America map can be daunting due to their wildly differing styles and histories, so consider which aspects of an antique map matter most to you. Place: Some collectors value a specific location such as specific cities, states, and islands more than others, so you may want to research whether maps of Havana are rarer than maps of the Dominican Republic, for example. Time: If you're a history buff, you might want several antique maps of one area so you can study their changes over time. If you're an antique collector, on the other hand, you might favor maps of unusual or important eras. Detail: Maps rich in detail may look busy but provide hours of study, whereas simpler maps may look cleaner but inspire less curiosity. How should you care for an antique map? Old Caribbean Islands and Central America antique maps are delicate, so take precautions to avoid tearing, fading, creasing, or staining. Storage: Keep the maps in acid-free drawers or folders, and keep them at a regular temperature. Display: Avoid hanging the maps in sunlight to prevent fading, and have a professional frame them. Handling: Always wash your hands before touching an antique map of any country or region. Avoid binding the artifact with a metallic clip since metal can corrode. How do you check the authenticity of an antique map? Color: Since most maps from the 15th to 18th centuries were colorized at the purchaser's request, old-looking coloration suggests authenticity. Style: Subtle artistic choices that belong to a specific era, such as intricate fonts or sea monsters, are hard to fake. Type: Whether the artifact is an atlas map, folding map, nautical chart, or some other type can clue you into its authenticity depending on how common the type was during the map's apparent era.